Latin for 'the eyes of the peacock', referring to the seeds. In undisturbed to disturbed seasonal to everwet mixed dipterocarp and keranga forests up to 600 m altitude. Often along or near rivers, but also common on hillsides. On sandy to clay soils. Also often found near the sea. Often planted as an ornamental tree. Wood locally used for indoor construction. A red dye can be extracted from the heartwood which is used (in India) for the forehead spot by Bhramins. Young leaves used as vegetables. Seeds used for necklaces and rosaries. Originally probably from eastern Malesia and west Pacific, but currently throughout tropical Asia, from Sri Lanka and India to New Guinea, Australia and west Pacific. 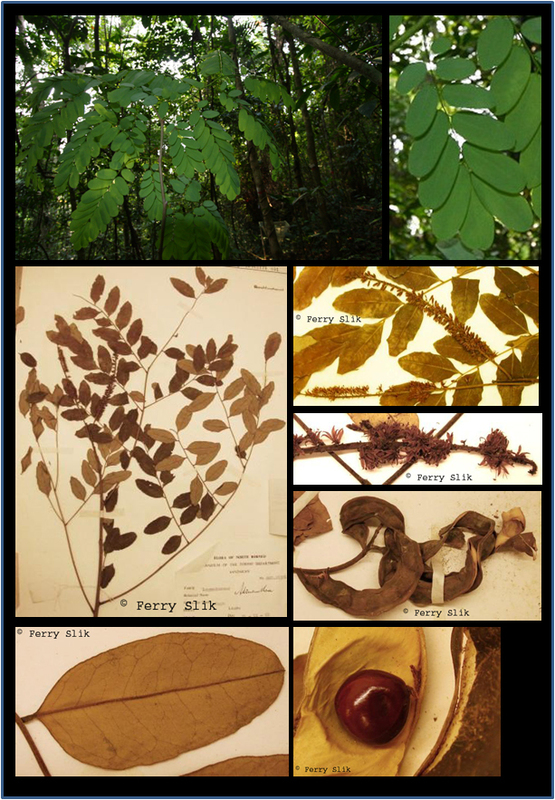 Probably introduced into western Malesia and India for the seeds and red dye that can be extracted from the wood.